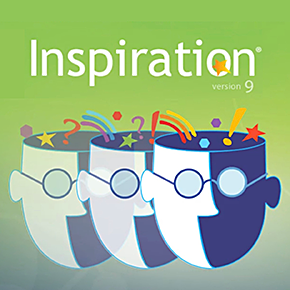 Inspiration, the innovation software for corporate, can be used to capture, organize and present ideas. Whether you're brainstorming, project planning, process mapping or simply taking notes, use Inspiration on Windows, Macintosh or handhelds to improve productivity. Inspiration is a powerful, easy-to-use tool that allows professionals to visually organize and communicate complex topics. Visual diagrams clarify patterns, interrelationships and interdependencies. They also stimulate creative thinking. Inspiration is available for use on desktop computers and with handhelds. Inspiration can be used to capture ideas wherever you are on your handheld and then they can be sync to Inspiration on the desktop to enhance and extend your projects. Boost your productivity with Inspiration, the professional tool for project planning, brainstorming, streamlining processes, and creating written reports and presentations. Inspiration works on Windows and Macintosh computers. Its integrated Diagram and Outline Views work together to help you organize concepts and information from your desktop or laptop. Using highly effective graphic organizers, Inspiration gives you a mental model to assist with analysis, comparison, classification and evaluation of information.